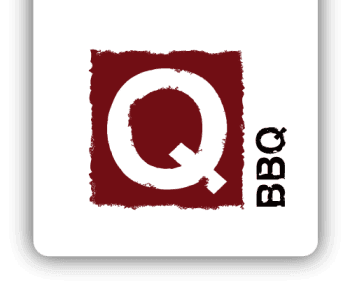 From the backwoods of the Carolinas, to the meat markets of Texas, to the hole-in-the-walls of Memphis, Q-BBQ was inspired by authentic barbeque traditions from across the country. Our smoked meats are cooked low and slow for up to 22 hours. Our sauces are homemade and our sides are from-scratch. But our flavors are far from ordinary. We’re taking America's original comfort food and adding our own signature style. Q-Style...we hope you’re ready for awesome. 7 years ago a group of friends had a vision for a modern version of an authentic BBQ restaurant that would feature quality food served in a quick casual setting. That vision became a reality in 2009, when La Grange became the first home of Q-BBQ. Here we fine tuned our signature sauces, dry rubbed chicken wings, pulled top-quality pork by hand and chopped brisket into cubes of caramelized burnt ends. Soon we had lines out the door. Lines of people wanting to be a part of something amazing. We were going to need more space. Four stores and tens of thousands of raving fans later...we are just getting started. Our signature sauces are now sold in grocery markets across the region. We’ve won Michelin Guide awards for culinary excellence (but truth be told our 2015 and 2016 People’s Choice trophies from Chicago’s Ribfest hold a more prominent place on our company mantel). We even had the gumption to open a surprise pop-up restaurant for a full week in Chicago’s tallest and best known building: Willis Tower. Twice.